“Lonesome Dave” Peverett was born 69 years ago today (April 16th). (Dave Edmunds, who produced the studio version of “I Just Want to Make Love to You,” turned 75 yesterday.) The song was a Willie Dixon song and they had played it once in a previous band and thought it was a good song to do. 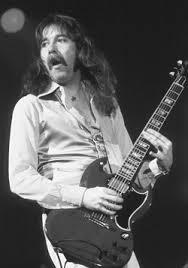 The late Dave Peverett in a 1990 interview explained how Foghat came to record the Willie Dixon song “I Just Want to Make Love to You.” He said he regularly listened to a Best of Muddy Waters compilation growing up, and that song was a favorite of his.